Transport-type liquid nitrogen container, High strength aviation aluminum manufacturing, product quality is light;Have a special shock structure,strong and durable;Matching with lock cover, to protect the safety of storage samples;Equipped with a protective cover, to prevent the products in the use of the bump, bump;Products have high vacuum multilayer insulation design, provide no less than five years of vacuum warranty. The commonly used Transport-type liquid nitrogen container has YDS-30 L, YDS-35 L, YDS-50 L, YDS-60 L,YDS-80 L,YDS-100 L and so on.Models of different, Its size, storage capacity also is not the same. The series of products are designed for the need of artificial transfer of biological samples or transportation of liquid nitrogen (mountain, grassland users), with the dumping, suitable for long-distance transportation, safety, reliability and other advantages. The Product is made of aviation aluminum and structured with high-vacuumed super adiabatic multi-layers. It is light by weight and the daily evaporation rate of liquid nitrogenis very low. The product is applicable to long-term and low-cost indoor static storage of sperms,embryos, stem cells and other biological goods. There are differentspecifications varying from 2 to 100 liters for your ideal choice. 2, exhaust valve, boiler, evaporator and expansion tank with water, water level reached the overflow mouth position. 3, to the gas tank, and check the engine and the oil burner was clear. 4, the connected with liquid nitrogen tank lorry, liquid inlet exhaust equipment connected to stay replacement pipeline. 5, check if there's any loose for cryogenic pump import and export of all pipe joint. 6, before starting the generator set of inspection? 7, check if water tank filled with water or antifreeze. 8, check whether the oil is in the position of oil level. Tianchi is a professional manufacturer of 100L liquid nitrogen gas cylinder manufacturers, the company has the core patent liquid nitrogen tank production technology, has declared a number of design patents, the product has passed the European CE / RoHs certification, all products through Product quality supervision and inspection of the performance test. 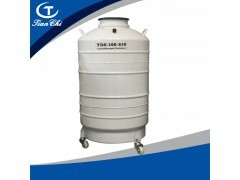 Has become a well-known domestic brands, but also liquid nitrogen tank the most complete type of company.